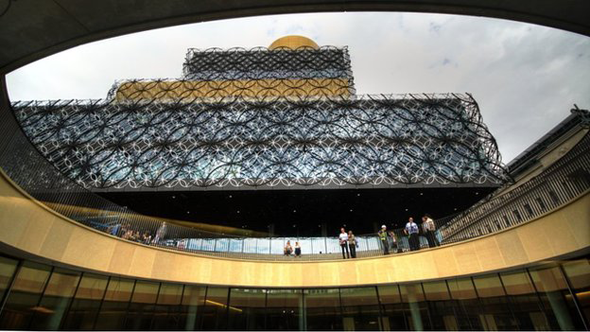 The opening hours at Birmingham's new £189m library are to be cut by nearly half to save money, the city council has confirmed. 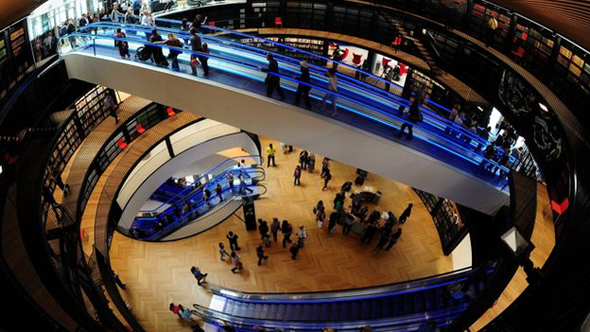 The authority said the library, which opened in September 2013, would open 40 hours a week - down from 73 hours. Plans to make redundant 100 of the 188 library staff are still being discussed, but the council expects at least 90 people will lose their jobs. Council tax will also increase by 1.99% across the city in 2015/16. The tax rise was supported by half the 1,108 people who responded to an online survey, the council said. 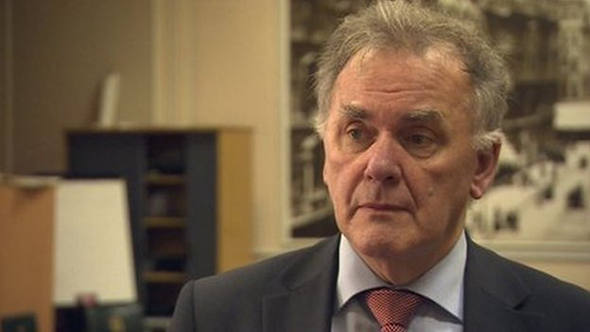 The Labour-led authority said it must cut nearly £113m from its 2015/16 budget. The figure is down by £3.8m from the original plan of cutting £116.7m, which was revealed in a white paper in December. 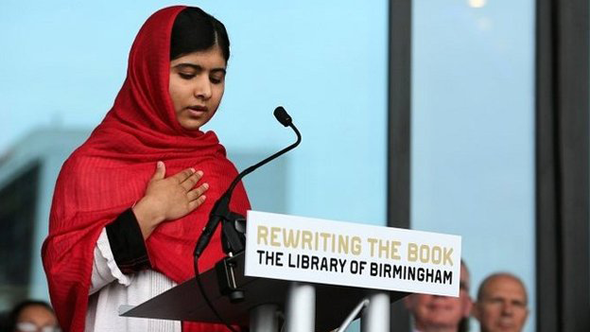 The Library of Birmingham in Centenary Square was opened amid huge publicity by Malala Yousafzai. But Birmingham City Council has been hit by massive financial problems through losing an equal pay claim brought by underpaid female workers. As a result the city sold its interest in the NEC group, but cuts elsewhere have continued. The council has not said what hours the library will open once the cuts are imposed, but said it is planning to save jobs in its photographic and archive services. And a charge for the library's music service will be introduced "to enable specialist staff in this department to be kept", a spokesperson said. The authority will make £1.3m savings at the library, a reduction from the original plan of cutting £1.5m. Council leader Sir Albert Bore has said the cut in government grant meant a 5.7% reduction on spending power for the city, which he said was three times the average of 2% among most councils. Penny Holbrook, cabinet member for skills, learning and culture, said most consultation responses relating to the library had focussed on the potential loss of its specialist photographic archives. But she added: "Unfortunately, the vast majority of spend we are going to have to cut is on the opening hours." Readers of BBC Local Live have written in with comments on the cuts to the library. Bob Adams described the plans as "stupid and short sighted", adding: "At the moment people in Scotland, Australia and other parts of the world think we are stupid to waste such a beautiful and useful resource." Mary McHenry said: "This is so short-sighted. Are our leaders so unimaginative that they cannot find other revenues to finance the library? It is humiliating for the city." Others blamed the cuts on central government policy, including Twitter user "The Wordy Gurdy Man" who responded to BBC WM: "It's appalling but what is the council supposed to do? The Coalition is tearing the heart out of local govt." Meanwhile A.A. Abbott called the library "a tourist attraction [and] icon as well as an amenity. It should keep its hours. The coalition must reverse its cuts". Sir Albert said by 2018 the council would have to make savings of £821m per year from the budget it had in 2010 and had so far achieved £462m of this. "The government cuts that are being handed down to us mean we now really have reached the end of local government as we know it," he said. "We'll work closely with our communities and partners but things will undoubtedly need to be significantly reshaped in the years ahead." Plans to axe financial support for major public events in the city, such as Pride, St Patrick's Day and Vaisakhi, were also confirmed by the council. However, a proposal for the city's 250 CCTV cameras to no longer be monitored around the clock were deferred after concerns were expressed West Midlands Police and other groups. Councillor Brigid Jones, cabinet member for children and young people, said the authority had not received a response to its request for further government funding to improve its much-criticised social services department. In November, she said the council was seeking £123m over the next three years - about £40m per year - to boost its children's services department, but the response "had not been forthcoming". The council, she said, has found £21.5m of the amount but still needed the extra cash to ensure it could meet increased demand for front-line social services. "We're meeting the cost halfway but we're still asking the government to make the same commitment to our kids," she said. Council funding for street wardens and festive lighting will disappear by 2016/17 unless external funding can be found. Information and advice services in the city will be axed, with the exception of counselling, domestic violence services, HIV, and drug and alcohol services. Meanwhile, deputy council leader Ian Ward said plans to cut school crossing patrols had been reviewed in response to sizeable opposition. The council also plans to introduce more 20 mph zones, and increase its use of CCTV to enforce parking outside schools. "Enforcing parking outside schools is a key part to keeping children safe," he said. Gill Whittaker, regional organiser of the GMB Union, led the trade unions' campaign to keep school crossing patrols. "We are delighted the council has listened to pressure from campaign groups," she said. "We look forward to working with the council over the next 12 months to ensure the service is retained." Ms Whittaker said the government should look again at its council funding formula and if it "gave Birmingham its fair share" such cuts would not be necessary. Local government has become about what you have to do, rather than what you want to do. 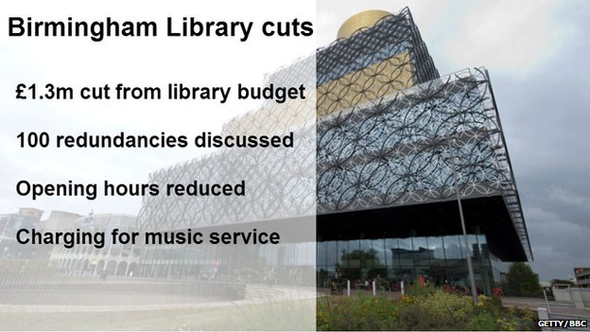 That's the leader of Birmingham City Council's take on why the new library would not be spared from shorter opening hours and job cuts in this budget. Other things, like protecting children and road safety, are just more important, according to Sir Albert Bore. Councils also receive much more criticism when those things wrong and Birmingham has got plenty wrong in the past. Hence, perhaps, the incentive to focus funds on getting child protection right. As for lollipop ladies and gentlemen, a certain Eric Pickles slated Birmingham last week for planning to cut them and, hey presto, this week the City Council's keeping 190 of busiest crossings patrolled.